The Soul of Viña Santa Cruz resides in the culture of the people who have been here before us. With all respect and reverence, we worship their most representative icons to use them as inspiration. We have shaped our lines of wines keeping in mind the idea of uniting the Body of Lolol with the Soul of our ancestors, and we have achieved this concept along with our team. The results are lines of wines of the best quality developed in environmentally friendly methods that invite you to delve into the ancient cultures that are still alive in the Terroir of Lolol. Our line of wines Chaman and Gran Chaman are inspired on the wise man, the sorcerer and mystical being who directly connects to the Gods to foresee the Tribe’s future, to know what will happen with their crops, and also to thank them their good fate. We pay tribute to his imposing personality, a perfect combination of strength and deep sensibility, and transpose them into this marvelous line of wines that gathers wisdom and respect for the past and present, and for the planting and harvesting. The Chaman line of wines is composed by our Sauvignon Blanc Chaman, Chaman Rosé blend, Chaman Cabernet Sauvignon/Carménère and Chaman Cabernet Sauvignon/Syrah. The last two are aged in French oak barrels for 4 months. The Gran Chaman line of wines is composed by five single-varietals strains as Cabernet Sauvignon, Carménère, Merlot, Malbec and Syrah which are aged in French oak for 12 months. Gran Chaman are full-bodied wines with deep character at each strain. 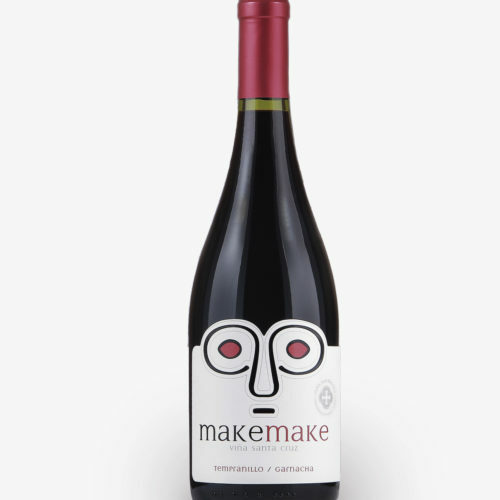 Our line of wine Make Make is inspired by the creator God of the mysterious Easter Island, the Father Birdman, the mythical God Make Make. The Terroir of Lolol and its raw material, the hands of our team and the Manna of our spirits inspired this line of wines; which we have developed with admiration and respect to pay tribute to the magical culture of Rapa Nui. Composed by Mediterranean strains to create a light, fresh and fruity line of wines aged in French oak for 14 months. Tupu is the sacred and ancestral jewel weared by Machi, she is the spiritual leader of the Mapuche people. She performs various rituals where she uses a chamanto with a Tupu, a special silver brooch that bonds her clothes. From that special gem and the wisdom it instills, we take inspiration to create our wine. Our Tupu is made of two strains grown under special care, as they come from our oldest strains: Carménère Sauvignon and Petit Verdot, this mixture rests for 16 months in French oak. The result will surprise you with its tannic power and tastes like blackberries, hazelnut and chocolate. 2013. It was approaching our 10th anniversary, an especial date to remember and celebrate. With our hearts focused in the fireworks and our minds in the expansion, we devoted ourselves into finding the most complex and elegant combination we could obtain from our field. That's how we set the commitment of producing a wine with an unusual protagonist as is the Petit Verdot. We wanted to give prominence to our vineyard, so we baptised the result with our name, Santa Cruz. 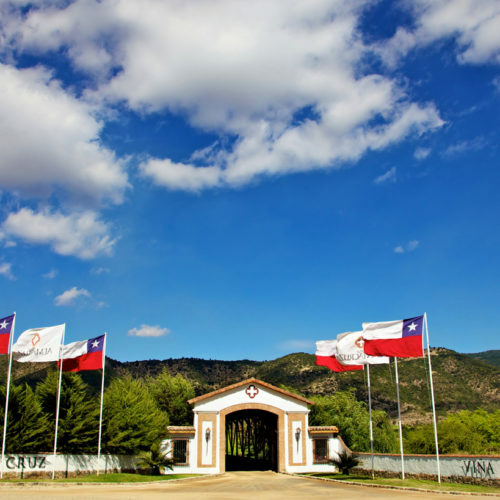 Located in the town of Lolol in the Colchagua Costa designation, our 150 hectares of vineyards are planted at 40 km in straight line from the Pacific Ocean and receives its direct influence. 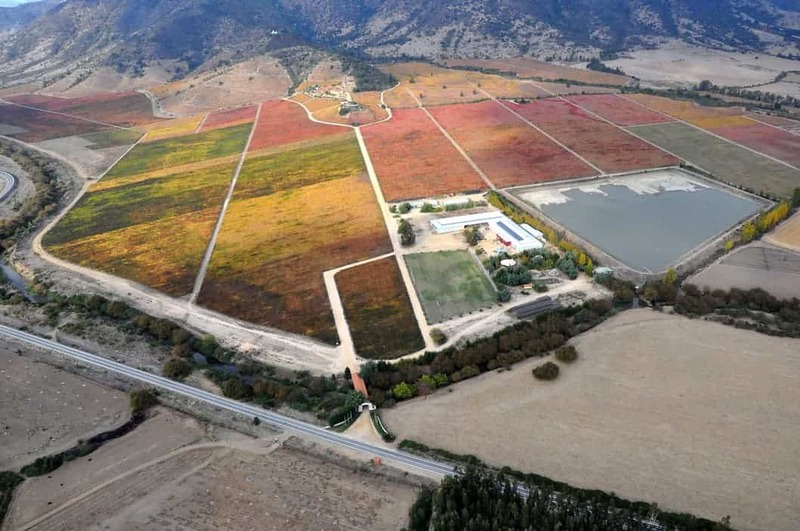 For this reason, our vineyard counts on a terroir of different climates and soils that are perfect for growing varieties of grapes to produce our lines of wines. Viña Santa Cruz is divided into three major sectors well marked by climatic conditions. El Peral: This sector of our vineyard receives the direct influence of the cold and moisture-laden coastal winds. Surrounding geomorphology force the winds to pass over a hill of native forests that absorb moisture. El Huaico: Once the wind passes through our native forests, humid winds become dry, warm winds that result in the heating of the ground. We have named as El Huaico. Las Terrazas: This third area of the farm is characterized by a variety of microclimates that directly depend from sun exposure and height. Alluvial: From the Estero Lolol which is a field boundary characterized by deep clay soils. Colluvial: Near to the surrounding mountain range. It is the result of landslides caused by earthquakes, and characterized by porous soil with very good drainage. Also, we have the floors of Las Terrazas. They are very particular because they are very shallow soils and at a short distance from the matrix bedrock. On these terroirs we grow the strains Carménère, Cabernet Sauvignon, Syrah, Malbec, Merlot, Petit Verdot, Cabernet Franc, Garnacha, Tempranillo y and Mourvedre. Differences in soil and climate are the secret that gives us wines with very different characteristics that vary from fruity to spicy, with full body or more refined. 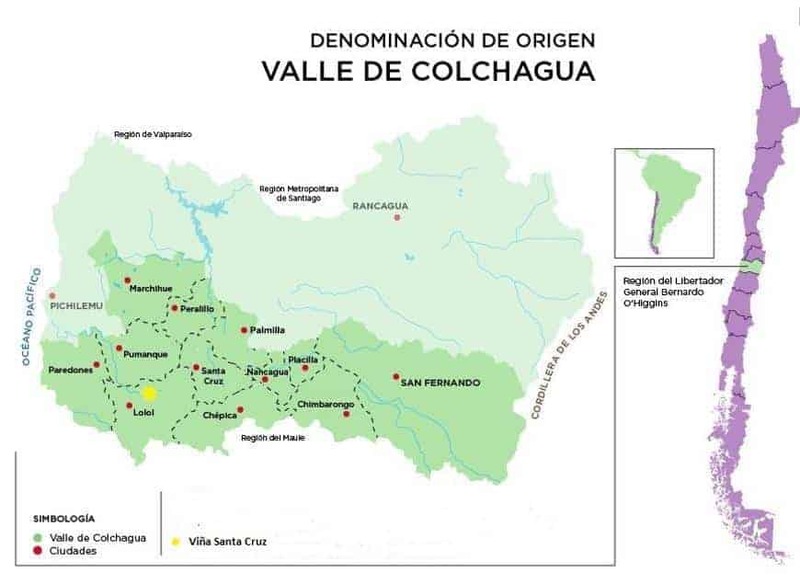 These bases and combinations, after passing through French oak barrels, result in balanced and elegant wines that express the main features of the unique area of Valle de Lolol.